Here is your opportunity to own a corner lot home in Laureate Park neighborhood of Lake Nona. 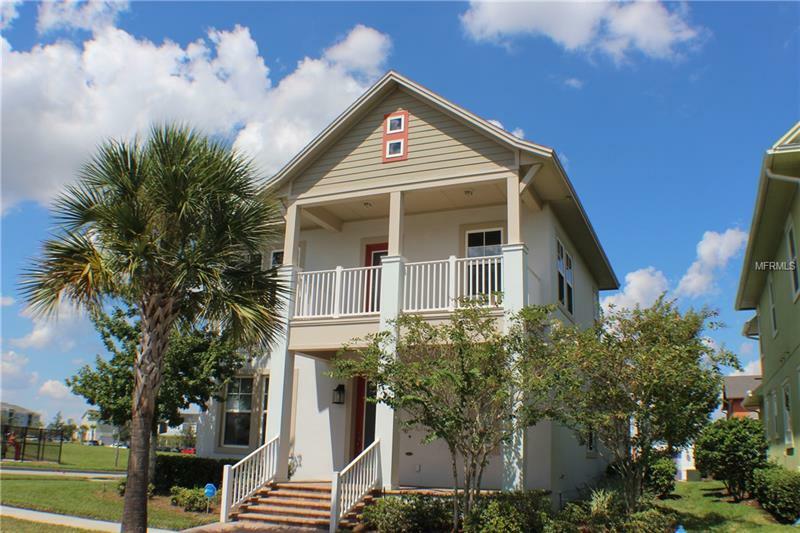 This two story home has beautiful paver porches, both front and back, for relaxation. Upon entering this move in ready home, you will find hardwood floors, an open concept floor plan with kitchen open to the family room, separate office space with french doors, and downstairs master suite. The kitchen includes stainless appliances, granite counters, maple cabinets and a convenient center island that will become the gathering spot in your new home. Enjoy the master suite with very large walk in closet and bath with both shower and tub and double sinks. Upstairs offers two more bedrooms, full bath and flexible bonus room that would make a great play space or family room, along with balcony overlooking the park. The detached double garage has a surprise upstairs space with a studio apartment with full bath. The HOA fees cover the internet and cable and use of the aquatic and fitness centers. Lake Nona is a growing community and includes Medical City and the new Lake Nona Town Center. This location is convenient to the international airport and numerous restaurants.